Guidolotti G, De Dato G, Liberati D, De Angelis P (2017). Canopy Chamber: a useful tool to monitor the CO2 exchange dynamics of shrubland. iForest 10: 597-604. A transient state canopy-chamber was developed to monitor CO2 exchange of shrubland ecosystems. The chamber covered 0.64 m2 and it was modular with a variable height. Several tests were carried out to check the potential errors in the flux estimates due to leakages and the environment modifications during the measurements inside the chamber. The laboratory leakages test showed an error below 1% of the flux; the temperature increases inside the chamber were below 1.3 °C at different light intensity and small pressure changes. The radial blowers inside the chamber created different wind speed at different chamber height, with faster speed at the top of the chamber and the minimum wind speed that was recorded at soil level, preventing detectable effects on soil CO2 emission rates. Moreover, the chamber was tested for two years in a semi-arid Mediterranean garrigue, identifying a strong seasonality of CO2 fluxes with the highest rates during spring and lowest rates recorded during the hot dry non-vegetative summer. Seasonal and annual variation of carbon exchange in an evergreen Mediterranean forest in southern France. Global Change Biology 14: 714-725. Thermal acclimation and the dynamic response of plant respiration to temperature. Trends in Plant Science 8: 343-351. Elevated carbon dioxide alters impacts of precipitation pulses on ecosystem photosynthesis and respiration in a semi-arid grassland. Oecologia 162: 791-802. Measuring biosphere-atmosphere exchanges of biologically related gases with micrometeorological methods. Ecology 69 (5): 1331-1340. Carbon and nitrogen balances for six shrublands across europe. Global Biogeochemical Cycles 23: GB4008. Photosynthetic response and adaptation to temperature in higher plants. Annual Review of Plant Physiology 31: 491-543. Design and performance of a portable gas exchange chamber system for CO2- and H2O-flux measurements in crop canopies. Environmental and Experimental Botany 61: 25-34. 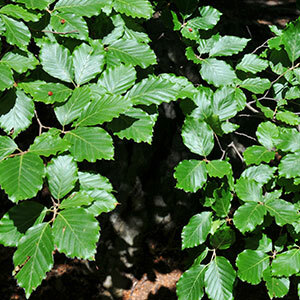 Carbon sink strength of a Mediterranean cork oak understorey: how do semi-deciduous and evergreen shrubs face summer drought? Journal of Vegetation Science 25: 411-426. Impact of drought and increasing temperatures on soil CO2 emissions in a Mediterranean shrubland (gariga). Plant and Soil 327: 153-166. Earlier summer drought affects leaf functioning of the Mediterranean species Cistus monspeliensis L. Environmental and Experimental Botany 93: 13-19. Effects of warmer and drier climate conditions on plant composition and biomass production in a Mediterranean shrubland community. iForest - Biogeosciences and Forestry 1 (1): 39-48. An open-top chamber for measuring soil respiration and the influence of pressure difference on CO2 efflux measurement. Functional Ecology 12: 319-325. The Eddy covariance method. In: “Eddy Covariance: a Pratical Guide to Measurement and Data” (Aubinet M, Vesala T, Papale D eds). Springer, Dordrecht, Netherlands, pp. 438. Photosynthetic limitations in response to water stress and recovery in Mediterranean plants with different growth forms. New Phytologist 175: 81-93. Contribution of diffusional and non-diffusional limitations to midday depression of photosynthesis in Arbutus unedo L. Trees 23: 1149-1161. A closed chamber technique for field measurement of gas exchange of forage canopies. New Zealand Journal of Agricultural Research 38: 71-77. Seasonal and topographic patterns of forest floor CO2 efflux from an upland oak forest. Tree Physiology 13: 1-15. Carbon dioxide and water vapour exchange from understory species in boreal forest. Agricultural and Forest Metereology 123: 135-147. Bowen ratio/energy balance technique for estimating crop net CO2 assimilation, and comparison with a canopy chamber. Theoretical and Applied Climatology 42: 203-213. Drying and wetting of Mediterranean soils stimulates decomposition and carbon dioxide emission: the “Birch effect”. Tree Physiology 27: 929-940. Field measurement of root respiration and total soil respiration in an alder forest. New Phytologist 150: 157-168. CO2 flux determination by closed-chamber methods can be seriously biased by inappropriate application of linear regression. Biogeosciences 4: 1005-1025. Time lag between photosynthesis and carbon dioxide efflux from soil: a review of mechanisms and controls. Global Change Biology 16: 3386-3406. Open top chambers for exposing plant canopies to elevated CO2 concentration and for measuring net gas exchange. Vegetatio 104-105: 3-15. Theory of operation (chapt. 4). In: “LI-8100A Automated Soil CO2 Flux System LI-8150 Multiplexer Instruction Manual”. LI-COR, Lincoln, NE, USA, pp. 2-12. Enclosure-based measurement of trace gas-exchange: applications and sources of error. In: “Biogenic Trace Gases: Measuring Emissions from Soil and Water” (Matson PA, Harris RC eds). Blackwell Scientific Publication, London, UK, pp. 14-51. Diffusion theory improves chamber-based measures of trace gas emissions. Geophysical Research Letters 32: L24817. The effects of chamber pressurization on soil-surface CO2 flux and the implications for NEE measurements under elevated CO2. Global Change Biology 5: 269-281. A whole-tree chamber system for examining tree-level physiological responses of field-grown trees to environmental variation and climate change. Plant Cell and Environment 29: 1853-69. Through-flow chamber CO2/H2O canopy gas exchange system - construction, microclimate, errors, and measurements in a barley (Hordeum vulgare L.) field. Agricultural and Forest Meteorology 149: 214-229. Net ecosystem carbon exchange in three contrasting Mediterranean ecosystems - the effect of drought. Biogeosciences 4: 791-802. A large closed canopy chamber for measuring CO2 and water vapour exchange of whole trees. Environmental and Experimental Botany 68: 131-138. Anaysing uncertainties in the calculation of fluxes using whole plant chambers: random and systemaic errors. Plant and Soil 393: 229-244. Evaluation of the portable chamber technique for measuring canopy gas exchange by crops. Agricultural and Forest Meteorology 63: 239-254. Comparison of different chamber techniques for measuring soil CO2 efflux. Agricultural and Forest Meteorology 123: 159-176. Ecosystem respiration in two Mediterranean evergreen Holm Oak forests: drought effects and decomposition dynamics. Functional Ecology 16: 27-39. Canopy gas exchange in the field: closed chambers. Remote Sensing Reviews 5: 163-177. A comparison of manual and automated systems for soil CO2 flux measurements: trade-offs between spatial and temporal resolution. Journal of Experimetnal Botany 54: 891-899. The assessment of water vapour and carbon dioxide fluxes above arable crops - a comparison of methods. Meteorologische Zeitschrift 14 (2): 151-155. Automated closed-system canopy-chamber for continuous field-crop monitoring of CO2 and H2O fluxes. Agricultural and Forest Meteorology 111: 171-186. Spatial heterogeneity of soil respiration and related properties at the plant scale. Plant and Soil 222: 203-214. High-frequency pressure variations in the vicinity of a surface CO2 flux chamber. Agricultural and Forest Meteorology 114: 245-250. Influence of high-frequency ambient pressure pumping on carbon dioxide efflux from soil. Agricultural and Forest Meteorology 124: 193-206. Disentangling drought-induced variation in ecosystem and soil respiration using stable carbon isotopes. Oecologia 163: 1043-1057. Interpreting post-drought rewetting effects on soil and ecosystem carbon dynamics in a Mediterranean oak savannah. Agricultural and Forest Meteorology 154-155: 9-18. Effects of stomatal delays on the economics of leaf gas exchange under intermittent light regimes. New Phytologist 192: 640-652. Two different strategies of Mediterranean macchia plants to avoid photoinhibitory damage by excessive radiation levels during summer drought. Acta Oecologica 20: 15-23. Seasonal variation in carbon dioxide exchange over a Mediterranean annual grassland in California. Agricultural and Forest Meteorology 123: 79-96.